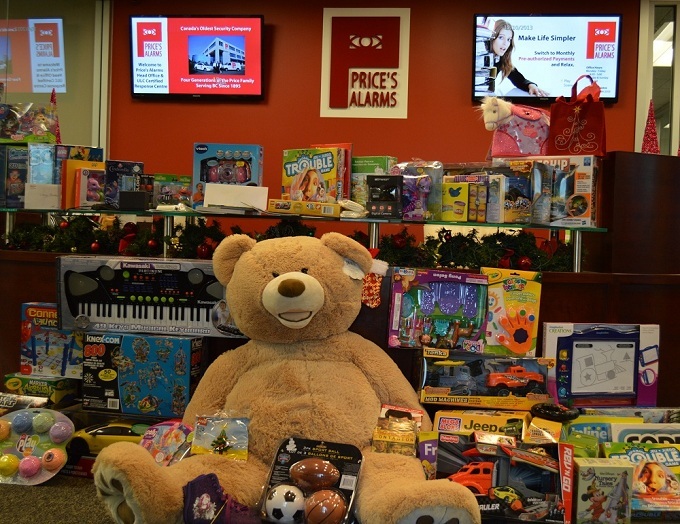 Price’s Alarms held our annual employee Christmas party this past Saturday with employees attending from throughout British Columbia. We had a great time and danced the night away, had lots of laughs and celebrated another successful year. As in previous years, our staff brought toys with them for donation to those who are less fortunate. This morning we loaded up all of the toys and took them down to the Salvation Army Toy Store on Quadra Street in Victoria. These toys help to provide gifts to those that need our help to ensure that no child feels left out by Santa this Christmas. We apprecate the work that The Salvation Army and so many other charities do within the communities of British Columbia. It is people who care that make our comminuties so special and the staff and management of Price’s Alarms are proud of all that we do to help make the towns and cities we serve better, safer and happier.